Online, you will find a plethora of discussions on how to become a great salesperson. If people know what it takes to become a rock star sales rep exactly, then why are there so few exceptional salespeople? The answer lies in the fact that the salespeople don’t have the information the right information on hand to make every deal a success. But what if a productivity app for salespeople, for instance, can be every salesperson’s knowledge depository and more? 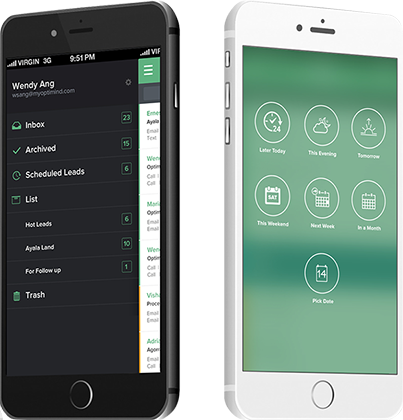 By more, it means the app can also be used in scheduling tasks for each lead and contacting the prospect directly through its inbox features. Indeed, an app can do this and more. The question now is – how can you choose the right technology that is specifically designed with the salespeople in mind? Here’s how. Sales apps are so important – simply accepting them at face value is unacceptable. There is a need to evaluate them based on their utility and efficiency otherwise no one can tell that the team will be able to reap real benefits from using the app. There are fundamental questions that must be answered during the evaluation phase. 1) What are the core activities of the sales team? 2) What kind of technology does the team need to succeed? 3) What features and functions are needed for a more efficient team? There are instances when the sales manager or supervisor is given the freedom to decide which technology or app is the most appropriate for the team. In choosing a particular app, the following factors must be considered. At its most basic level, the app must be able to bring real benefits to the salespeople. Otherwise, you cannot expect all their buy-ins. No one will find delight in using a technology that only requires them to enter data. The same applies to use an app that is technically used in tracking them. For an enterprise application to be of benefit to the people, it must be created to cater to the needs of the sales team. It should be customizable and scalable to accommodate future requirements of the team members. No two companies are the same—even the sales teams within one company are unique from one another. Not only should the app be flexible enough to be customized to the requirements of the sales team, but must be easy to learn and maintain. In case of modifications, any of the members of the team should be able to navigate through the app to make the required changes. That is, the implementation should be easy because a company doesn’t have weeks to have their chosen app up and running. The app should be rapidly and readily adaptable more so due to the vertical processes at each stage of the pipeline. To continue with #2, if it is possible to build an app from scratch so it may reflect the company’s pipeline, then much better. If not, again, it should be customizable to suit the requirements of the enterprise. Also, if it can be made to accommodate the buyer patterns as well as the purchasing trends, the better. It should be intuitive to the user to act on the trend as analyzed through the app and make actions to follow through and close the deal. One major pain point of the sales managers and supervisors is proper turnover. When a salesperson leaves the team, it’s hard to rummage through the files of the former team member. But with an app, it will be easier for the team to start where the previous employee had left off. An app must be capable of archiving the activities executed for specific leads in one accessible database. The history must be available to the right persons in just a few clicks to enable these individuals to act on the leads as well as the opportunities the departed sales representative left behind. Sales head make sense of the data extracted from the available information on whatever technology the team is using. With this, the app must be capable of producing raw data, analyze the data and perhaps present them illustratively so the salespeople can make sense of them and use them for decision-making. Any empowered app can inform the decisions the managers and supervisors shall make. For instance, if the sales manager is aware of each representative’s lead conversion and opportunity closing ratios, it would be easier to determine the exact volume of leads each rep can handle. With all these, the ultimate goal is to find an app that can assist the salespeople to do their job in a more efficient manner. The app should enable them to focus on the actual selling activities, not necessarily entering data and sorting through the given files which take precious time away from the sellers. And in the world of sales, time means money. Vender App is the right app for your sales workforce. Download the app now!